The Mormon Church’s historic Salt Lake City Temple, photographed in 2015. It likely doesn’t shock you that the Church Of Jesus Christ Of Latter-day Saints has publicly opposed a Utah bill that would increase alcohol limits on beer sold at grocery stores and on tap. It doesn’t surprise the bill’s sponsor, Senator Jerry Stevenson, who told the Associated Press it makes sense given that the Church advocates absence from alcohol in general. But it might surprise you to know that the Church’s opposition could actually present a significant road block for this legislation. According to The Salt Lake Tribune, 90 percent of Utah’s state lawmakers are members of the LDS Church; only 13 lawmakers out of the 104 are not. 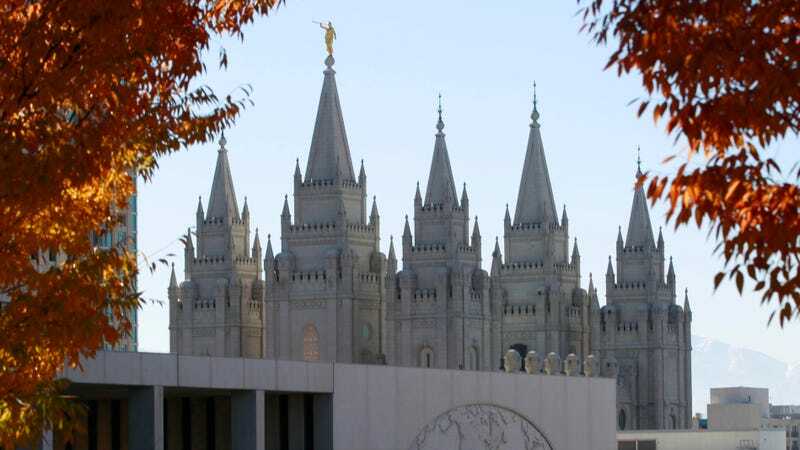 Meanwhile, more than 60 percent of Utah residents are LDS members, which gives the Church an outsized influence in politics and public opinion. That’s why the Church’s official opposition to the bill to raise the cap on beer’s alcohol by weight content from 3.2 to 4.8 percent (roughly 4 percent to 6 percent ABV) imperils the legislation’s passage. While no one yet knows how a full vote on the bill will go, the Church’s influence could hinder its passage. The bill unanimously passed out of committee last week, per the AP. The LDS Church joins other disparate groups opposed to the bill’s passage, including substance-abuse counselors and conservative social groups. Some small breweries also oppose the bill, saying that while they’re in favor of raising the alcohol cap generally, this particular legislation would favor large, national beer companies at the expense of Utah’s small breweries. Speaking to ABC-4, the director of the Utah Brewers Guild, Nicole Dicou, says small brewers would prefer legislation that imposes no cap on a beer’s alcohol content, allowing brewers to sell more varied styles of beer.